A month or so ago Igigi sent me a press release about the next upcoming season, and there was a dress pictured in the header. 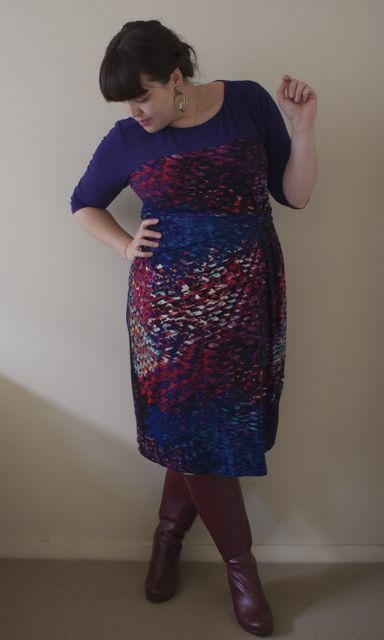 Deep blue shoulders, and a print that looked halfway between a stained glass window and mermaid scales. I knew immediately I had to have it. 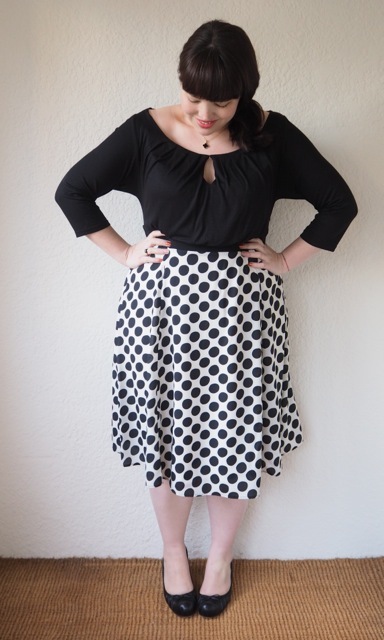 It took a while to launch on the website, during which time I saw several desperate fans admonishing Igigi online for teasing them with an unavailable dress in repeated marketing campaigns. But patience was rewarded, and finally the dress, Sapphira, arrived. 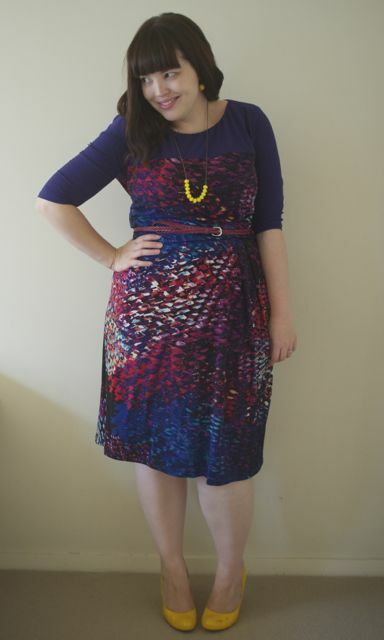 It’s one of the prettiest dresses I’ve seen on Igigi’s website, and that’s saying a lot. I’m a big sucker for beautiful prints though, and the colours in this one speak to me on a personal level. The deep reds, purples, greens and blues play up my pale skin and give the dress movement and dimension that flat colours cannot. 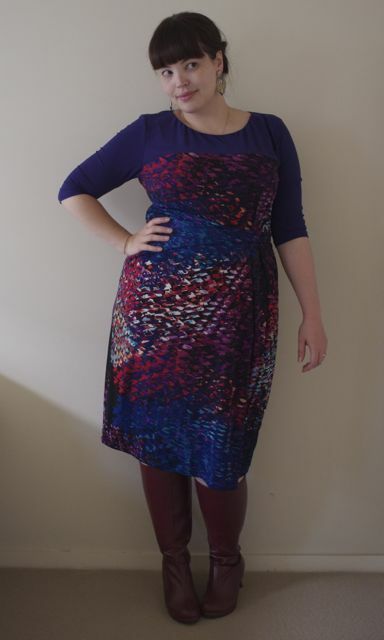 As usual for an Igigi dress I can’t fault the quality. 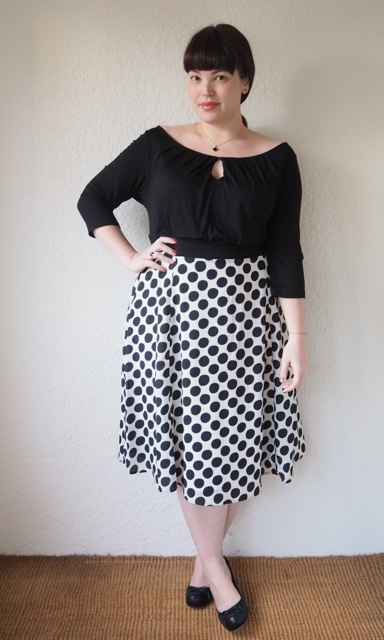 The fabric is the slinky jersey that Igigi are known for, layered over a denser jersey lining, so that while the dress seems light and floaty nothing on the surface clings or hugs too tight to the body. And because the lining is stretch too it’s fantastically comfortable to wear; no constraining waistbands or seams that pull when you move. The boat neckline would normally make me feel a little top heavy, but the contrast shell draws attention away from my bust, and also prevents the print from overwhelming my face. The elbow-length sleeves make it easily trans-seasonal and I like that it pulls into a drape on the hip. It was promoted as a workwear item, and it’s certainly appropriate for the office (unless you’re in one of those “suit” offices; in which case, you poor thing) but it’s one of those happy dresses that goes from office, to party, to date, to weekend wear with ease. 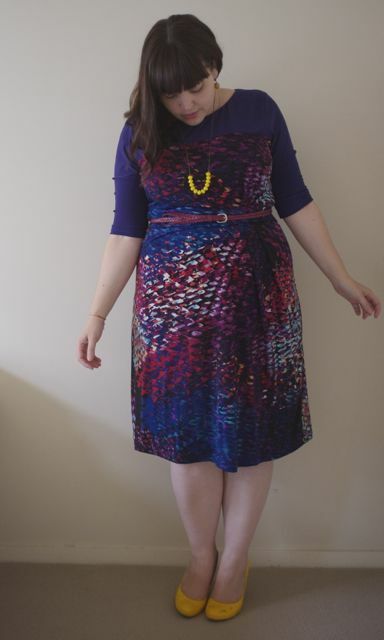 I teamed it first with bright yellow shoes, my home-made necklace, and a belt to draw the waist in (the dress is just the tiniest bit big for me). Later in the afternoon the weather took a turn for the worse, so I swapped my accessories over and discovered the dress went rather splendidly with the red boots that I bought last year from Comfortview at One Stop Plus. 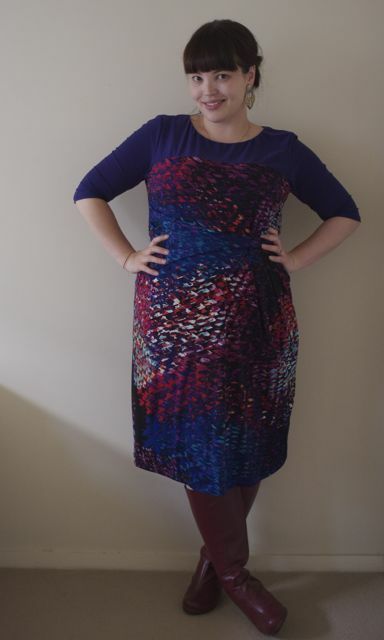 Two niggles that aren’t actually niggles: As with any printed dress you’re at the mercy of the cutters, and you might not necessarily get a dress that looks exactly like the one in the pictures. 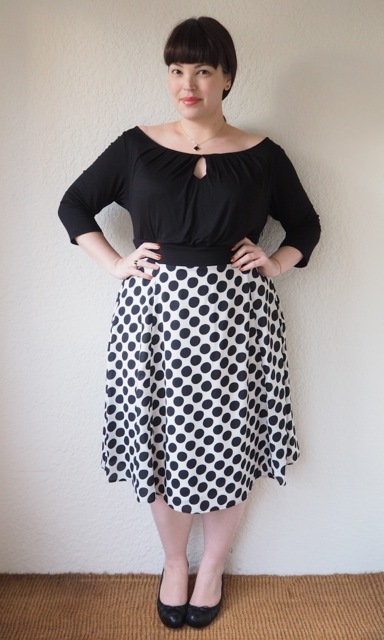 With a company like Igigi you’re unlikely to end up with a dress that’s upside down (*cough*dorothyperkins*cough*) but there’s no guarantee that the one you wear will look the same as the one on the website. 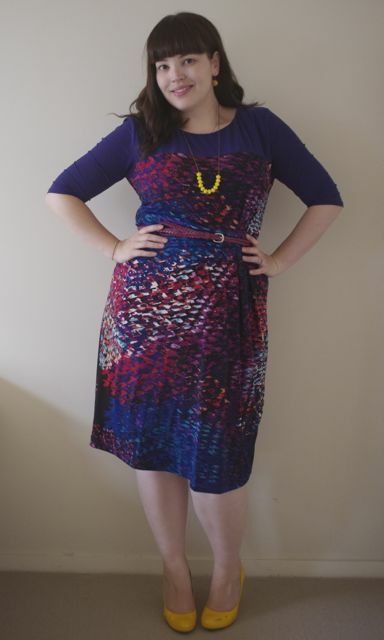 The dress pictured in Igigi’s marketing had a lot more variety of colour. 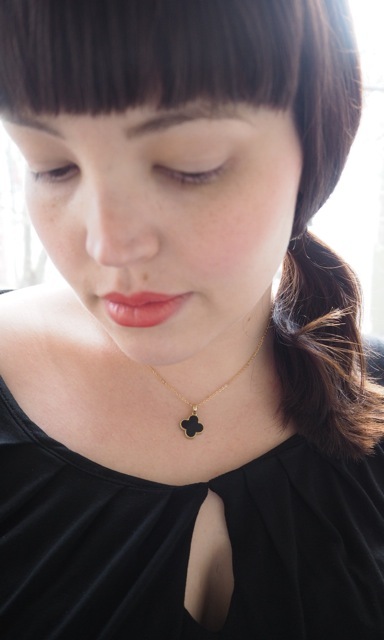 And the one in Igigi’s video (incidentally, can I just say how much I LOVE that Igigi does videos??) has a lot more white in it. 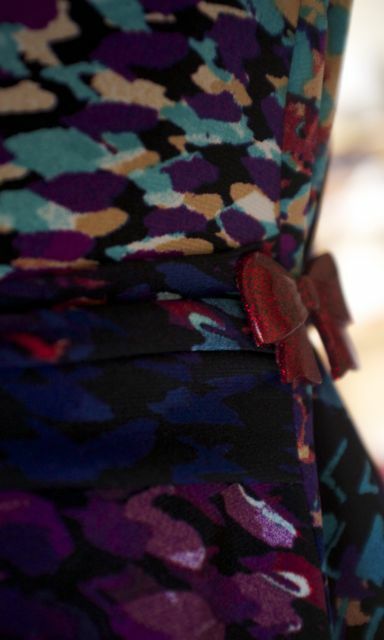 On the one hand this can be frustrating if you’ve fallen in love with the pattern placement on a particular dress, and the finished product doesn’t quite measure up. But on the other hand, you end up with a dress that’s totally unique. The other issue I had was that the size 12 was just the tiniest bit too big around my waist but that’s easily fixed with a belt, or even a brooch. When I took the belt off later in the day I simply gathered the extra fabric around my waist and pinned it into the gathers already at the side. I think next time I have my sewing machine out I’ll tack those extra gathers up permanently, but the brooch works well in a pinch. It’s definitely a dress that’s going to make it into my wardrobe for NYC and Full Figured Fashion Week – bit over a month to go, eep! On that note, I’ve finally listed my get-me-to-NYC eBay sale up this weekend, so feel free to drop in and take a look.